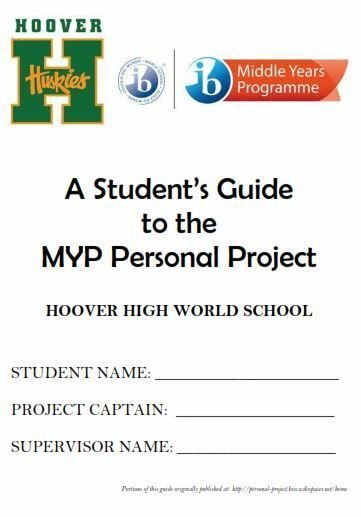 Below are links to several important resources that students will use throughout the MYP Personal Project journey. Please stop by Mr. Hall’s office (room 2081) if you have questions about any aspect of the project! The workbook serves as a resource and tool for students completing the personal project. Although the workbook can seem daunting, it is an important tool for learning about the project and its requirements. Time will be spent in Husky Time home base to complete a few portions of the workbook, but the bulk of work will be done on the student’s own time.